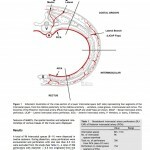 Phase 0 (inspiratory baseline) represents the inspiratory phase of the respiratory cycle. Phase 1 is the initial part of expiration, when dead space gases are being exhaled. Since the exhaled gas in this phase did not take part in gas exchange, the PCO2 is 0. Phase 2 (expiratory upstroke) involves exhaled gases from alveoli reaching the detector. There is a sharp rise in PCO2 during this phase. Phase 3 is a (more or less) flat plateau showing continued exhalation of alveolar gas. The last, maximal part of this phase is the end-tidal point (ETCO2), which is usually 35-40 mmHg. ETCO2 tends to be 2-5 mmHg lower than PaCO2, though this difference can be increased/decreased under a variety of conditions, such as ventilation-perfusion mismatch. 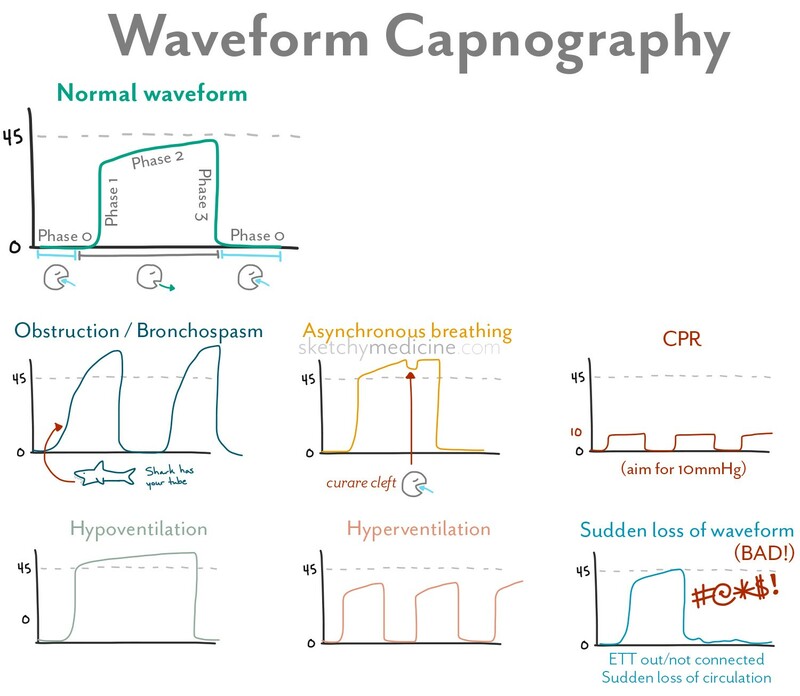 The shape of the capnograph waveform can tell you a lot! A slanting upslope can represent airway obstruction (e.g., chronic obstructed pulmonary disease, bronchospasm, blocked endotracheal tube). Dorsch JA, Dorsch SE. 2007. Gas monitoring. In: Understanding anesthesia equipment (Dorsch and Dorsch, Eds.) Lippincott Williams & Wilkins, Philadelphia PA.
Kodali BS. 2013. 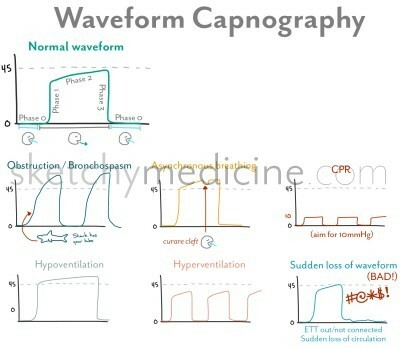 Capnography outside the operating rooms. Anesthesiology; 118:192.